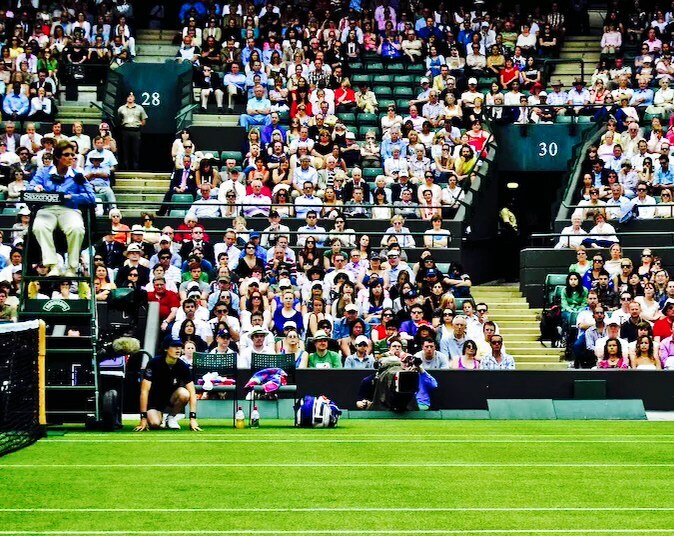 Having watched an inordinate amount of Wimbledon this year, I couldn’t help but draw some strong disparities between real life and “superstar life.” There seems to be a widening chasm between the haves and have nots, and that trend is harshly reflected in society. But, maybe this microcosm lends itself to some further investigation. As I observed these incredibly gifted athletes achieving feats that I dreamed about as a boy, my mind drifted into a mode of nostalgic possibility. I thought about how different my path would have been if I had the means and discipline required to compete at that level. I contemplated the ceaseless mental stamina and physical training, and I wondered if I could have survived the harsh rigors of a perpetual world tour. But, inside the bubble, the perfect painting has much less sheen. These professionals are subjected to a barrage of interviews, public appearances, press conferences, endorsement obligations, travel tribulations, and the balancing act of living each moment under a microscope. Anyone who is able to attain the highest levels in a particular field is scrutinized, but it seems athletes’ and actors’ shoulders are saddled with the heaviest loads. There is a stiff price to pay for the privilege of standing in the spotlight, and many people don’t realize how hot that beam can burn. So, far and away from the mountains of money and elite social gatherings, I am grateful to be able to preserve my anonymity. Yes, there are countless benefits to being hyper successful, personally fulfilled, and globally revered. But, those don’t come without a significant price tag. It’s easy to sit in a current state of mind and gaze longingly at someone else’s world. The irony is that they may be staring right back.